Online food delivery startup Foodpanda has onboard 60,000 delivery partners in five weeks and has now set its eyes on expanding its delivery network to 5 lakh partners by 2020. Ola-owned Foodpanda is further looking to add another 60,000 delivery partners in the next two months, to keep its growth and expansion plans on track. Over the last couple of weeks, the startup has expanded its network from seven cities, by adding 13 new cities, including, Jaipur, Chandigarh, Kanpur, Lucknow, Indore, Ahmedabad and Nashik among others. The expansion is part of Foodpanda’s strategy to achieve deeper penetration, as it grows its delivery network. In the food ordering and delivery segment, Foodpanda competes with food tech giants like Zomato and Swiggy. 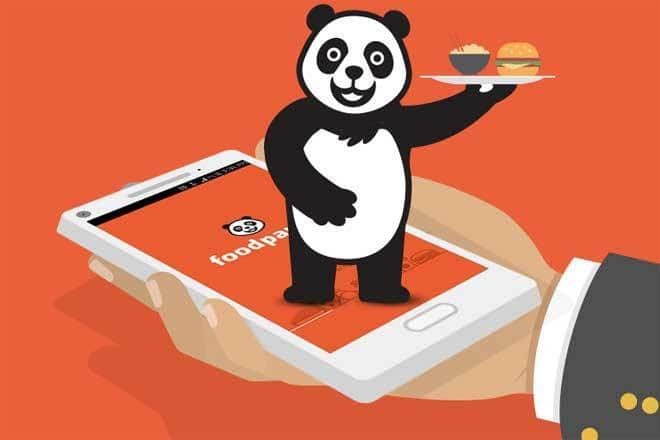 Foodpanda claims to process over 3 lakh orders a day through its network of over 25,000 restaurant partners. “Delivery partners are key to our mission of bringing the best food experience from our restaurant partners to our consumers…Foodpanda is committed to creating over 500,000 opportunities for delivery partners from many years which are loved by millions of people,” Foodpanda India CEO said Pranay Jivrajka. Last month, it was reported that Ola had integrated Foodpanda in its app, in order to provide seamless food ordering experience to its users. This will further help Foodpanda to expands its customer base by reaching over 150 million Ola users. With the support of Ola, Foodpanda is looking to challenge the market leaders Zomato and Swiggy, to capture a larger piece of the food delivery pie. Foodpanda is offering huge discounts, in order to attract more customers. A large delivery network with five lakh partners will further help the food-tech giant to further compete with other players in the food delivery market, strengthening its coverage and providing quicker deliveries, thereby enhancing customer experience. Last month, it was reported that Foodpanda’s competitor Zomato managed to achieve a 40% growth in revenues, as it reduced its losses by 73% to ₹106 crores from previous year’s ₹390 crores.